Altha Jensen says she has no regrets in opening her apparel store, AK Jensen, at St. Philip's Plaza. Linen and cotton dress by Yest. 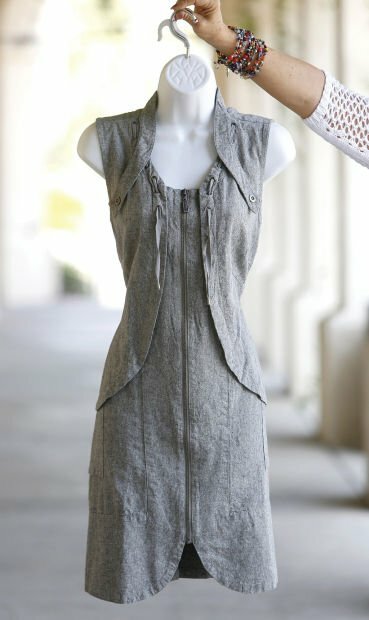 A tank top by Lilla P is an example of the apparel available at AK Jensen. In nearly 30 years owning a clothing biz, Altha Jensen has seen plenty of boutiques come and go. Clothing labels, too. But her shop AK Jensen is still going strong in the very spot where it originally opened in St. Philip's Plaza. "I've never regretted opening this business," Jensen says. "It's still a joy to me. I still find it interesting." 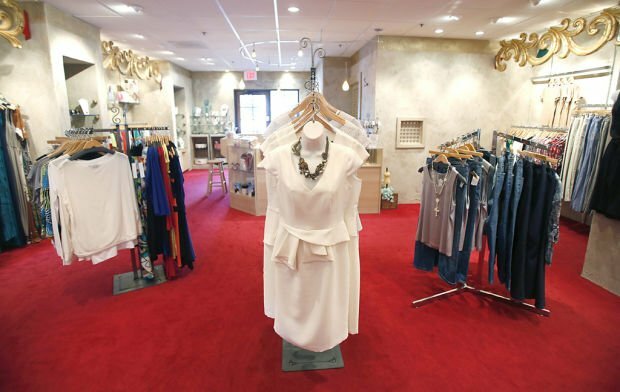 Jensen's red-carpeted store specializes in women's clothing as well as accessories like locally made jewelry and handbags. Jensen, who used to make her own clothes and whose aunt was a designer, pays close attention to fabric and detail. "I know fabric," she says. "It has to wear well. It has to feel good." AK Jensen clothes are trendy but not overly so. "I had a client come in the other day, and she had an outfit on that she bought here 20 years ago," Jensen says. "It looked current." Trend with the most staying power: "The one thing that's always surprised me, I always think it's going away - animal print. It's really strong." Least favorite trend: "Probably the micro-minishorts. Not everybody can wear those. ... That goes hand-in-hand with miniskirts." What every woman should have in her closet: "You must have a wonderful pair of black pants and a fabulous jacket that you can mix and match." Tucson style: "It used to be very, very casual, but I've seen it evolve. People are not looking for real basics, they want a neat detail. … For a long time, no one would buy a dress, now they're looking for cocktail attire." Contact Kristen Cook at kcook@azstarnet.com or 573-4194.